Poppy seed is an oilseed obtained from the opium poppy (Papaver somniferum). The tiny kidney-shaped seeds have been harvested from dried seed pods by various civilizations for thousands of years. The seeds are used, whole or ground, as an ingredient in many foods, and they are pressed to yield poppyseed oil. The poppy seed is mentioned in ancient medical texts from many civilizations. For instance, the Egyptian papyrus scroll named Ebers Papyrus, written c. 1550 BC, lists poppy seed as a sedative. The Minoan civilization (approximately 2700 to 1450 BC), a Bronze Age civilization which arose on the island of Crete, cultivated poppies for their seed, and used a milk, opium and honey mixture to calm crying babies. The Sumerians are another civilization that are known to have grown poppy seeds. Poppy seeds have long been used as a folk remedy to aid sleeping, promote fertility and wealth, and even to provide supposed magical powers of invisibility. Poppy seeds; 1 mm scale. Poppy seeds are less than a millimeter in length, kidney-shaped, and have a pitted surface. It takes 3,300 poppy seeds to make up a gram, and between 1 and 2 million seeds to make up a pound. The primary flavor compound is 2-Pentylfuran. A cut green seed pod with fresh latex. Dry poppy seed pods containing ripe poppy seeds. To some extent, harvesting for poppy seeds is in conflict with harvesting for opium. Poppy seeds of superior quality are harvested when they are ripe, after the seed pod has dried. Traditionally, opium is harvested while the seed pods are green and their latex is abundant, but when the seeds have just begun to grow. The seeds of other poppy types are not eaten, but they are cultivated for the flowers they produce. Annual and biennial poppies are considered a good choice to cultivate from seed as they are not difficult to propagate by this method, and can be put directly in the ground during January. The California poppy (Eschscholzia californica), for example, is a striking orange wildflower that grows in the Western and Northwestern United States. The poppy seed harvest can be a by-product of opium poppy cultivation for opium, poppy straw, or both opium and poppy straw. Conversely, poppy straw can be a by-product of cultivation of poppy seeds. Compared to the seed pod and straw, the seeds contain very low levels of opiates. The seeds may be washed to obtain poppy tea but a large amount is needed, around 300-400g depending on the levels of opiates. Dried poppy seed pods, straw (plate), and seeds (bowl). According to The Joy of Cooking, "the most desirable come from Holland and are a slate-blue color." The color of poppy seeds is important in some uses. When used as a thickener in some dishes, white poppy seeds are preferred, having less impact on the color of the food. In other dishes, black poppy seeds are preferred, for maximum impact. Since poppy seeds are relatively expensive, they are sometimes mixed with the seeds of Amaranthus paniculatus, which closely resemble poppy seeds. Poppy seed is a nutritionally dense spice with high levels of essential minerals calcium, iron, magnesium, phosphorus and potassium. Whole poppy seeds are widely used as a spice and decoration in and on top of many baked goods. In North America they are used in and on many food items such as poppy seed muffins, rusk, bagels (like the Montreal-style bagel), bialys, and cakes such as sponge cake. Across Europe, buns and soft white bread pastries are often sprinkled on top with black and white poppy seeds (for example Cozonac, Kalach Kolache and, Kołacz). Poppy seeds are used in various German breads and desserts as well as in Polish cuisine. Like sesame seeds, poppy seeds are often added to hamburger buns. Le Snak is a food product made by Uncle Toby's of New Zealand, consisting of three poppy-seed crackers and a portion of semi-solid cheese. Fillings in pastries are sometimes made of finely ground poppy seeds mixed with butter or milk and sugar. The ground filling is used in poppy seed rolls and some croissants and may be flavored with lemon or orange zest, rum and vanilla with raisins, heavy cream, cinnamon, and chopped blanched almonds or walnuts added. For sweet baked goods, sometimes instead of sugar a tablespoon of jam, or other sweet binding agent, like syrup is substituted. The poppy seed for fillings are best when they are finely and freshly ground because this will make a big difference in the pastry filling's texture and taste. Some recipes for Mohnstriezel use poppy seed soaked in water for two hours or boiled in milk. A recipe for Ukrainian poppyseed cake recommends preparing the seeds by immersing in boiling water, straining and soaking in milk overnight. Poppy seeds can be ground using a generic tool such as a mortar and pestle or a small domestic type electric blade grinder, or a special purpose poppy seed grinder. 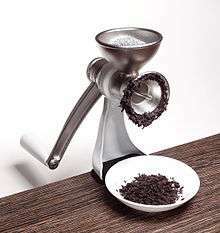 A poppy seed grinder (mill) is a type of burr grinder with a set aperture that is too narrow for intact poppy seeds to pass through. A burr grinder produces a more uniform and less oily paste than these other tools. Poppy seed paste is available commercially, in cans. Poppy seeds are very high in oil, so commercial pastes normally contain sugar, water, and an emulsifier such as soy lecithin to keep the paste from separating. Commercial pastes also contain food preservatives to keep them from becoming rancid. In the United States, commercial pastes are marketed under brand names including Solo and American Almond. Per 30 gram serving, the American Almond poppy seed paste has 120 calories, 4.5 grams fat, and 2 grams protein. Poppy seeds can also be used like sesame seeds to make a bar of candy. The bars are made from boiled seeds mixed with sugar or with honey. This is especially common in the Balkans, Greece and even in the cuisines of former Austro-Hungarian countries. Poppy seeds are used around the world in various cuisines. The seeds of the opium poppy (Papaver somniferum) are widely consumed in many parts of Central and Eastern Europe. The sugared, milled mature seeds are eaten with pasta, or they are boiled with milk and used as filling or topping on various kinds of sweet pastry. Milling of mature seeds is carried out either industrially or at home, where it is generally done with a manual poppy seed mill. Poppy seeds are widely used in Austrian, Croatian, Czech, German, Hungarian, Lithuanian, Polish, Romanian, Russian, Slovak, Turkish and Ukrainian cuisines. The states of former Yugoslavia (notably Macedonia and Serbia, but also Croatia and Bosnia) have a long tradition of preparing poppy seed pastry (strudel, baklava, pajgle) and dishes (pasta with poppy seeds). In Poland, Lithuania and Eastern Slovakia, a traditional dessert is prepared for the Kūčios (Christmas Eve) dinner from poppy seeds. They are ground and mixed with water or milk; round yeast biscuits (kūčiukai in Lithuanian; opekance or bobalky in Slovak) are soaked in the resulting poppy seed 'milk' (poppy milk) and served cold. In Central Europe, poppy strudel is very popular, especially during Christmas. In Germany, Poland and countries belonging to the former Austro-Hungarian Empire, poppy seed pastries called Mohnkuchen are often eaten around Christmas time. 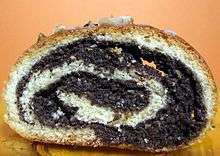 In Eastern European Jewish cuisine, pastries filled with black poppy seeds in a sugary paste are traditional during Purim, which occurs exactly one month before Passover and approximately a month before Easter. Traditional pastries include poppy seed kalács and hamantashen, both sometimes known as beigli (also spelled bejgli). Poppy seed hamantashen were the main traditional food eaten by Ashkenazi Jews at Purim until the filling was replaced by other fruit and nut fillings. Poppy seed pastries are common in Jewish bakeries and delicatessens throughout the United States. In Indian cuisine white poppy seeds are added for thickness, texture and also give added flavor to the recipe. Commonly used in the preparation of korma, ground poppy seed, along with coconut and other spices, are combined as the masala to be added at the end of the cooking step. It is quite hard to grind them when raw, so they are normally dry fried, and then mixed with a little water to get the right paste consistency. Words for poppy seed paste include Assamese – Aafu guti (আফু গুতি), Hindi/Marathi – Khas Khas (खस खस), Oriya – Posta, Bengali – Posto, Kannada – Gasagase (ಗಸಗಸೆ) or Telugu gasagasa (గసగసాలు) or gasagasaalu or Tamil Kasa kasaa (கசகசா) or Malayalam – (കശ കശ). 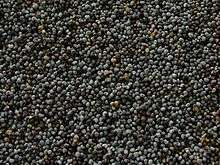 Poppy seeds are widely used in Maharashtrian cuisine, Gujarati cuisine, Andhra cuisine, Bihari cuisine, Bengali cuisine, Oriya cuisine, and Malabar cuisine (Northern Kerala). In Maharashtra, poppy seeds (called खस खस in Marathi) are used to garnish anarsa (अनारसा), a special sweet prepared during the festival of Diwali. It is also added in boiling milk sometimes. In Gujarat, poppy seeds are mostly used in sweets. The most common use is to garnish on a traditional Indian sweet – Ladoo. In Bengal (West Bengal and Bangladesh), white poppy seeds are called posto পোস্তো). They are very popular and are used as the main ingredient in a variety of dishes. One of the most popular dishes is aloo posto (potato and poppy seeds) which consists of a large amount of ground poppy seeds cooked together with potatoes and made into a smooth, rich product, which is sometimes eaten with rice. There are many variants to this basic dish, replacing or complementing the potatoes with such ingredients as onions (pnyaj posto), Ridged Luffa (jhinge posto), chicken (murgi posto), and possibly the most popular prawns (chingri posto). The cooked poppy seeds are sometimes served without any accompanying ingredients at all. The consistency of the dish may vary depending on local or household traditions. There are many other posto dishes. Chadachadi is a dish from Bengali cuisine and includes long strips of vegetables, sometimes with the stalks of leafy greens added, all lightly seasoned with spices like mustard or poppy seeds and flavored with a phoron. One dish involves grilling patties made from posto, sometimes frying them (posto-r bora). Another dish involves simply mixing uncooked ground poppy seeds (kancha posto) with mustard oil, chopped green chili peppers, fresh onions and rice. In Karnataka cuisine, Gasagase Payasa (Kannada: ಗಸಗಸೆ ಪಾಯಸ) is very popular in southern part of the South Indian state of Karnataka. It is a liquid dessert made out of white poppy seeds, jaggery, coconut and milk. Andhra cuisine also uses white poppy seeds, called Gasaalu (గసాలు) in Telugu, in various recipes. The seeds themselves do not contain significant amounts of opiates. But a poppy tea consumed in some areas and often referred to as doda has been controversial for containing ground opium poppy plant, especially the seed head, and contains significant levels of opiates. Popular in some South Asian communities, doda is created by grinding dried poppy husks or poppy seeds into a fine powder and then ingesting the mix with hot water or tea. In Canada, doda is made from poppy plants brought in from Afghanistan and Arizona under the guise of legal purposes such as floral arrangements, but is sold illegally from some meat markets. In Indian traditional medicine (Ayurveda), soaked poppy seeds are ground into a fine paste with milk and applied on the skin as a moisturizer. Poppy seeds are pressed to form poppyseed oil, a valuable commercial oil that has multiple culinary, industrial, and medicinal uses. Whole poppy seeds also have a medical use: in a simple, accurate, and inexpensive test for vesicointestinal fistula (see Poppy seed test). They are often used as bird seed, in which case they are usually called maw seeds. Poppy seeds are highly nutritious, and less allergenic than many other seeds and nuts. Allergy (type 1 hypersensitivity) to poppy seeds is very rare, but has been reported and can cause anaphylaxis. Sufferers of diverticulosis are advised by many physicians to avoid poppy seeds because of the risk of the seed hulls irritating the diverticula, resulting in full-blown diverticulitis, however there is some dispute over the risk. Poppy seeds are a potential source of anti-cancer drugs. 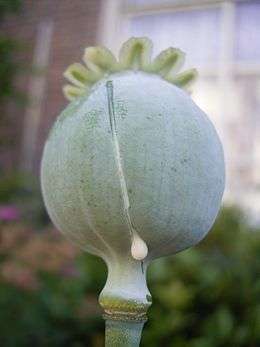 Although the drug opium is produced by "milking" latex from the unripe fruits ("seed pods") rather than from the seeds, all parts of the plant can contain or carry the opium alkaloids, especially morphine and codeine. This means that eating foods (e.g., muffins) that contain poppy seeds can result in a false positive for opiates in a drug test. However the results provided will not be the same for someone who uses opiates. Morphine levels in poppy seeds range between 4–200 mg/kg. According to an article published in the Medical Science Law Journal, after ingesting "a curry meal or two containing various amounts of washed seeds" where total morphine levels were in the range 58.4 to 62.2 µg/g seeds, the urinary morphine levels were found to range as high as 1.27 µg/mL (1,270 ng/mL) urine. Another article in the Journal of Forensic Science reports that concentration of morphine in some batches of seeds may be as high as 251 µg/g. In both studies codeine was also present in the seeds in smaller concentrations. Therefore, it is possible to cross the current standard 2,000 ng/mL limit of detection, depending on seed potency and quantity ingested. Some toxicology labs still continue to use a cutoff level of 300 ng/mL. Discovery Channel's MythBusters series episode "Poppy Seed Drug Test" demonstrated that eating both poppy seed bread and poppy seed bagels resulted in both of the hosts testing positive for opiate use, 30 minutes later. A fictional example of such a false positive test in popular culture was in the Seinfeld episode "The Shower Head", where the character Elaine Benes was not allowed to visit Kalahari Bushmen with J. Peterman after testing positive for opium from the consumption of poppy seed muffins. 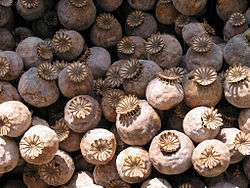 The sale of poppy seeds from Papaver somniferum is banned in Singapore because of the morphine content. 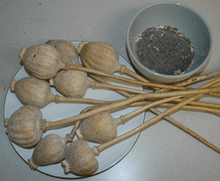 Poppy seeds are also prohibited in Taiwan, primarily because of the risk that viable seeds will be sold and used to grow opium poppies. China prohibits spice mixes made from poppyseed and poppyseed pods because of the traces of opiates in them, and has since at least 2005. Despite its present use in Arab cuisine as a bread spice, poppy seeds are also banned in Saudi Arabia for various religious and drug control reasons. In one extreme case in the United Arab Emirates, poppy seeds found on a traveler's clothes led to imprisonment. Concerns were raised in Malaysia by MP Datuk Mohd Said Yusof who claimed in 2005 that mamak restaurants used poppy seeds in their cooking to get customers addicted to it. As poppy seeds cause false positive results in drug tests, it is advised in airports in India not to carry such items to other countries, where this can result in punishments based on false positive results. Travelers to the United Arab Emirates are especially prone to difficulties and severe punishments. In Singapore, poppy seeds are classified as "prohibited goods" by the Central Narcotics Bureau (CNB). ↑ Raghavan, Susheela (2006). Handbook of spices, seasonings, and flavorings. CRC Press. p. 158. ISBN 978-0-8493-2842-8. 1 2 McGee, Harold (2004). On Food and Cooking: The Science and Lore of the Kitchen. Simon and Schuster. p. 513. ISBN 978-0-684-80001-1. ↑ Scott Cunningham (2004). Cunningham's Encyclopedia of Magical Herbs. Llewellyn. p. 211. ISBN 978-0-87542-122-3. ↑ Yearbook of Agriculture. United States Government Printing Office. 1896. p. 203. ↑ "Poppy, chamomile and larkspur seeds are planted outside in January." Day, Molly (2009-01-14). "Gardening: Work to get seeds started in January". Muskogee Phoenix. Retrieved 2009-01-24. ↑ FAOSTAT. FAO Retrieved on 2016-04-06. ↑ Irma S. Rombauer; Marion Rombauer Becker; Ethan Becker (2006). The Joy of Cooking. New York: Scribner. p. 1011. ISBN 978-0-7432-4626-2. ↑ Singhal, Rekha S.; Pushpa R. Kulkarni; Dinanath V. Rege (1997). Handbook of Indices of Food Quality and Authenticity. Woodhead. p. 414. ISBN 978-1-85573-299-5. ↑ Mohnstriezel-Poppy-Seed-Cake. Recipezaar.com. Retrieved on 2015-04-24. ↑ Walter, Joyce (2009-01-10). "Ukrainian community in midst of celebrations". The Moose Jaw Times Herald (Saskatchewan). Retrieved 2009-01-24. ↑ "Poppy Seed Moon Cake or Makosbeigli," in Meyer, June (1998). June Meyer's Authentic Hungarian Heirloom Recipes. Meyer & Assoc. ISBN 978-0-9665062-0-4. ↑ "Aloo Posto Recipe - Potato preparation cooked with poppy seeds". www.sanjeevkapoor.com. Sanjeev Kapoor. Retrieved 15 February 2016. ↑ "Potatoes fried in a thick coating of poppy seeds is a signature dish from Bengal.". food.ndtv.com. Aditya Bal. Retrieved 15 February 2016. ↑ "Ont. shop owner charged with selling addictive poppy derivative". CBC News. 2008-12-23. Archived from the original on March 3, 2009. ↑ Roberts, Rob (2009-01-08). "Peel region's doda problem". National Post (Toronto). Retrieved 2009-01-24. ↑ "Poppy face pack". ammas.com. Retrieved 2009-05-13. ↑ Ward, Artemas (1911). The Grocer's Encyclopedia (1st ed.). New York, New York: James Kemster Printing Co. pp. 492–495. Retrieved July 5, 2014. ↑ "Poppy Seeds Nutrition Facts". Buzzle.com. Retrieved 2011-02-18. ↑ Keskin O, Sekerel BE; Sekerel (2006). "Poppy Seed Allergy: A case report and review of the literature". Allergy and Asthma Proceedings. 27 (4): 396–8. doi:10.2500/aap.2006.27.2881. 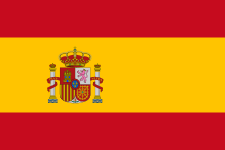 PMID 16948357. 1 2 Panasoff J (2008). "Poppy seed anaphylaxis". Journal of Investigational Allergology and Clinical Immunology. 18 (3): 224–5. PMID 18564637. ↑ Aruna K, Sivaramakrishnan VM; Sivaramakrishnan (November 1992). "Anticarcinogenic effects of some Indian plant products". Food and Chemical Toxicology. 30 (11): 953–6. doi:10.1016/0278-6915(92)90180-s. PMID 1473788. ↑ O'Connor, Anahad (2005-01-11). "The Claim: Eating Poppy Seeds Can Make You Fail a Drug Test". The New York Times. ↑ Opiated curry. Opioids.com. Retrieved on 2015-04-24. ↑ Poppy-seeds: codeine, morphine and urinanalysis. Opioids.com. Retrieved on 2015-04-24. ↑ Detection of Opiates in Urine – Toxicology Laboratories – HealthWorld Online. Healthy.net. Retrieved on 2015-04-24. ↑ Poppy Seed Drug Test MiniMyth | MythBusters | Discovery. Dsc.discovery.com (2011-02-11). Retrieved on 2015-04-24. ↑ Ignorance Is No Excuse for Breaking Law. Arabnews.com (2006-01-10). Retrieved on 2015-04-24. ↑ Tourists warned of UAE drug laws. BBC News (2008-02-08). Retrieved on 2015-04-24. ↑ "List Of Controlled Pharmaceutical Substances In UAE". Fair Trials International. Archived from the original on 2014-10-17. ↑ "Health Ministry: Kas-kas won't be banned in Malaysia yet". The Rakyat Post. 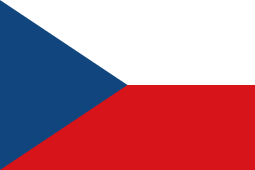 14 April 2016. Retrieved 2 May 2016. ↑ Travel Warning – Khas Khas (Poppy Seed) Imprisonment in UAE. Hoax-slayer.com. Retrieved on 2015-04-24. ↑ "Indian in UAE denies using poppy seeds as drugs". Yahoo News India. IANS. July 10, 2014. Retrieved July 17, 2014. ↑ "I would like to know if I am allowed to bring poppy seeds into Singapore for my baking business". Retrieved 31 August 2015. Jenő Bernáth. Poppy: The Genus Papaver. CRC Press, 1998. ISBN 978-90-5702-271-5. Wikimedia Commons has media related to Poppy seeds.